The 3rd National Council of CCI-India was held at GALILEE, Thrissur, Kerala on the 14th and 15th October 2013. 22 Members from different Chapters attended. Fr. Reid S. Fernando, CCI International Chaplain was the guest of honour at the National Council. The Council made elaborate plans to re-launch the survey on internal migrants and the 'Vatican 2+50: A Cardijn Perspective' project inquiry. The major focus in the coming years will be the organisation of the 'Vatican 2+50: A Cardijn Perspective' concluding International Conference to be held in Chennai, India in December 2015. The CCI Canonization Committee (CCI-CC) to promote the cause of canonization of Cardinal Cardijn, founder of the International Young Christian Workers Movement (IYCW) is holding its first official meeting at Thrissur, Kerala on the 16th October 2013. CCI-India is hosting this event. Fr. Reid S. Fernando, CCI International Chaplain, Fr. Prof. X. D. Selvaraj and other members of the CCI-CC will be attending this one day meeting. It was at the instance of Fr. S. Servatius, National Chaplain of CCI-India that a resolution was moved at the 'Vatican 2+50: Cardijn Perspective' conference in Manila, Philippines in October 2012 to promote the cause of canonization of Cardinal Cardijn and a Canonization Committee was formed. Following the campaign launched by CCI, Fr. Felix Van Meerbergen, a former YCW himself from Cardijn's home Diocese in Belgium initiated a Canonization Committee in Belgium and sought the support of the Archbishop Leonard of Malines-Brussels. The Archbishop is fully supportive of the move and is to install the ecclesiastical court soon. All the Bishops in Belgium are supporting the move now and the CCI prayer is being translated into Dutch to be promoted in Belgium. Fr. 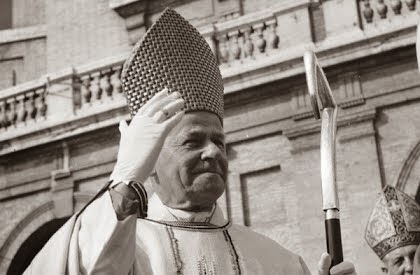 S. Servatius, the Convenor of the CCI-CC says that the day is not far off for Cardinal Cardijn to be beatified. Let us hope his words come true. CCI-India is holding its 3rd National Council on the 14th and 15th of October 2013 in Thrissur, Kerala. Kerala is a state in south India with the highest literacy rate (93.91%) and it is found to be the least corrupt state in India. This National Council will review the actions and activities of the movement in the past two years in the context of the socio, economic, political and cultural reality in India and will plan for the coming years. The Council will also plan for the organisation of the 'Vatican 2+50: A Cardijn Perspective' international conference to be held from the 6th to 8th December 2015 followed by a one day CCI International Council on the 9th December 2015. CCI-India is co-hosting this mega event. The National Council is held at a time when the campaign for Canonization of Cardinal Cardijn is gaining momentum. The Council will also plan to intensify the campaign in close collaboration with the International CCI. Fr. Reid S. Fernando, CCI International Chaplain will be the guest of honour at this National Council. Welcome to India Fr. Reid. Due to certain technical problems, the CCI-India website was not in operation for sometime. We shall keep you updated on all important events and campaigns of CCI-India.